Wet rooms are a contemporary small bath room solution, offering an excellent way to open up and make efficient use of limited space. 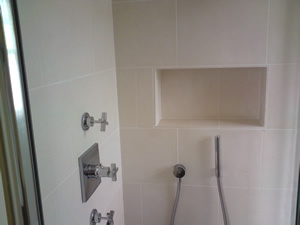 The space normally required for a tub or bath room shower stall is eliminated; the entire room becomes a shower. Small bath room space can be greatly enhanced with the elimination of a bath or shower stall. 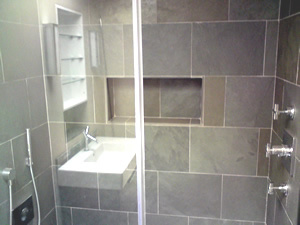 Second small bath rooms converted to shower wet rooms can significantly increase the market value of your home. Wet room design for a small bathroom is exceptionally stylish and very vogue. Wet rooms are easier to keep clean, especially with wall mounted sink and toilet fixtures. A properly installed tile wet room and sub-floor is more water proof and will last longer than a standard bath room.